COMPANY OVERVIEW: Cedars House is a large holiday property situated in the Wye Valley, offering accommodation for up to 20, perfect for vintage hen parties. 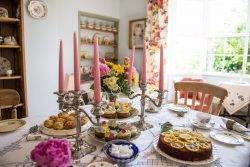 A slice of vintage heaven designed by award-winning designer Jan Knibbs, who also can arrange vintage tea parties, workshops, photo shoots and makeovers. COMPANY OVERVIEW: Holly Chambers & Victoria Bass are both professional singers from Kent. After performing together at ‘The War and Peace Revival 2017’ (The Largest Gathering of Military Vehicles in the world), they were told by numerous people that their voices blended together extremely well, & therefore The Duettes were created. The Duettes specialise in performing songs from the 1920s through to modern day, with a Jazzy/ Vintage twist. 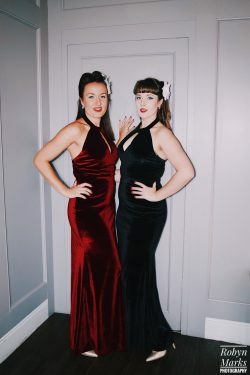 The girls can also tailor set lists to your requirements for your special day and will add a touch of vintage glamour & entertainment to any wedding! COMPANY OVERVIEW: Hepcats Barbershop & Beauty Parlour is a retro themed salon based in Chippenham, Wiltshire. We offer barbering, wet shaves and facial hair maintenance plus make up, hair and skincare - something for everyone in the wedding party! 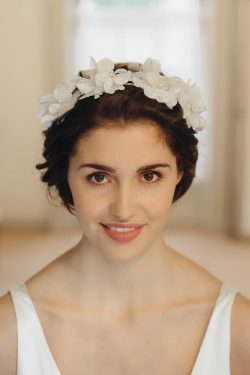 Alternative and vintage styles are our specialty, although all styles are catered for. COMPANY OVERVIEW: We create affordable bespoke wedding stationery/styling, well I say WE I mean me, Rea, a designer from Yorkshire. Everything is hand made from start to finish with my own fair hands... Your wedding is something unique to you, and so your stationery and all the bits and bobs that go with it should be too. COMPANY OVERVIEW: Painted Peach offers bespoke face and body art for high end events, weddings, parties and more. Ranging from hiring immersive body painted performers, being entirely unique with a Bridal Lace design, to just adding a touch of sparkle with a Glitter Station. This is perfect for couples looking to add an extra touch of wonder to an unforgettable day. Take a look at the website for more details.